A new book is now available to accompany the windfarm tours aboard Defiance. This is the first edition published in February 2019, just weeks after the official announcement of the completion of the windfarm. This new book is in full colour contains over 60 photgraphs taken during the actual construction of the windfarm. The text covers the construction process, leading to the fully operational windfarm we see today. 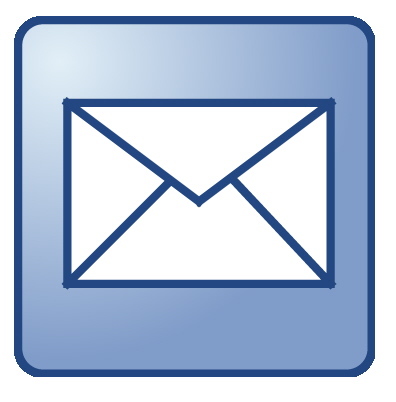 There are many contractors involved in the project. 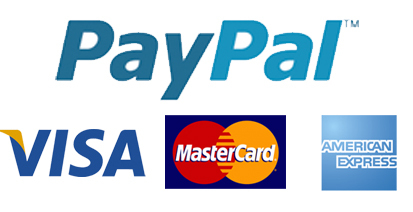 The roles of major contractors involved are listed. Construction vessels fulfilled a major part of the works. Many are pictured as they work building the windfarm, to show how they are adapted for their specific tasks. The principle construction techniques are illustrated, to give better insight into this project. The book gives an overview of the construction. People who are technically minded can ask further questions on the trips to the windfarm, as there is a great deal more information available on board Defiance. 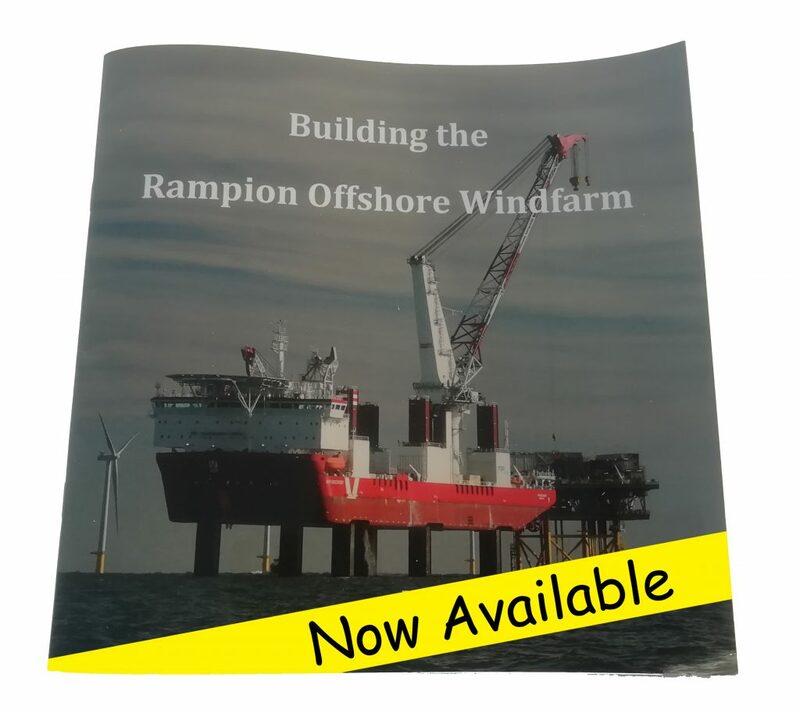 The book is currently exclusively available to customers of Rampion Boat Trips on the windfarm tour. Copies will be available to purchase on board Defiance as a souvenir of the trip. Safety is always the first issue to consider and it is the drone operators’ responsibility to comply with the Drone Code, as published by the Civil Aviation Authority (CAA). 1) at least 150 metres from working vessels and people at site, both offshore and onshore. If the drone is being operated from a vessel, the vessel itself must stay out of the statutory 500m Safety Zone around construction activities on wind turbines and the offshore substation. The drone operator will be held responsible for any incident or damage arising from failure to comply with the above. In addition to the above and the Drone Code and any licensing that may be required to operate a drone. The drone needs to take off and land safely from the vessel and would only normally be considered within a group of drone operators or around passengers familiar with their operations. Drone operators should also be aware that some Return-To-Home functions will not work as the boat will move. Drone operators will need to be able to control the craft to safely land and take off from a moving platform. 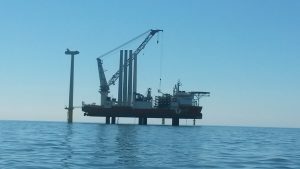 On our trips to the Rampion Windfarm construction site. We are able to witness the installation of wind turbines at various stages. Pictured is MPI Adventure lifting a tower onto the base installed last year. 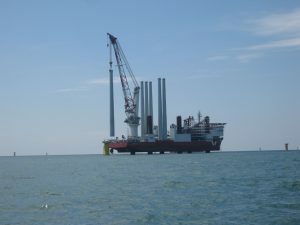 MPI Adventure and the other wind turbine installation vessel MPI Discovery can carry a total of 8 turbines per load. 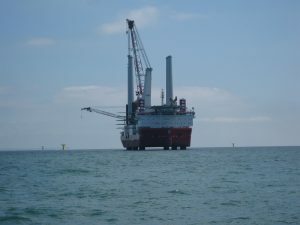 Each load of the the Vesta turbines are loaded in Denmark, and the vessel then sails to the Rampion windfarm off Sussex. The towers are stacked either side of the vessel and can be easily seen stood up on deck. The blades are stacked horizontally behind the bridge and are a bit horder to see. The generator itself or nacelle are also on deck, but not visible. 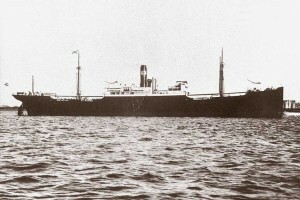 The TR Thompson was torpedoed by UB57. 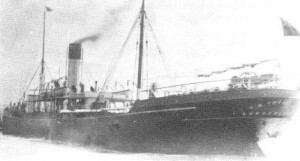 All but three of the 36 crew were lost in her sinking. 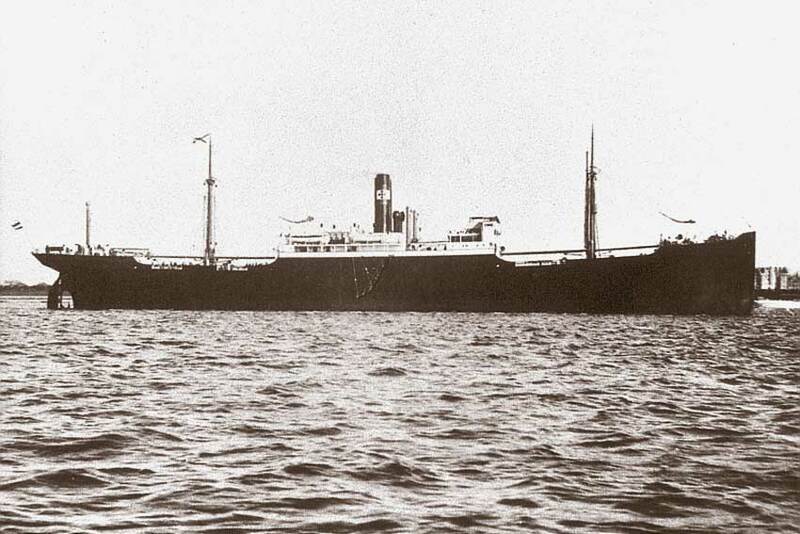 The Porthkerry was torpedoed by UB40 whilst picking up the crew of the SS Tycho which was also torpedoed by UB40. The engine struck in the boiler room causing the boilers to burst. Owners – Porthcawl Steamship Co. Discovered in 1974 but no recorded dive until 1982. Originally thought to be the wreck of an L Class destroyer and named as the Laforay. Later identified by the makers plate as the M Class Destroyer HMS Minion (1992). The Pagenturm was torpedoed by UB40 on the starboard side by No 2 hold. 4 crew lost their lives in the explosion and the rest of the crew abandoned ship. The ship sank at 0730 just 80minutes after the torpedo struck. Built – 1909 – JC Tecklenborg AG.